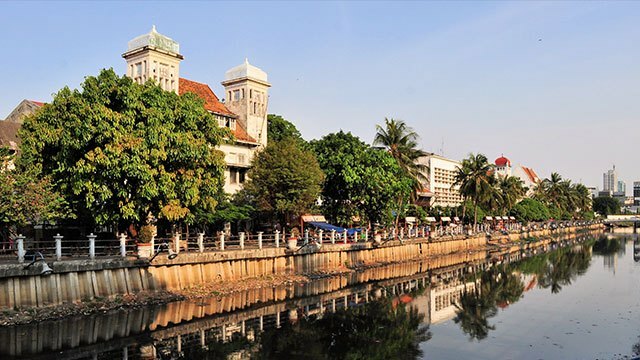 Get a glimpse of Indonesia’s Dutch colonial past at Kota Tua, also known as Jakarta’s Old Town. The historical quarter boasts a charming European feel and is home to traditional Dutch buildings. The most impressive is the former Stadhuis (city hall) of Batavia, which now houses the Jakarta History Museum. For a taste of modern Indonesia, check out the National Gallery. While the museum and art gallery has a permanent collection of traditional paintings, it also exhibits works by young local artists. When the sun becomes unbearable, drop by for a few contemplative hours. Pressed for time? No problem. 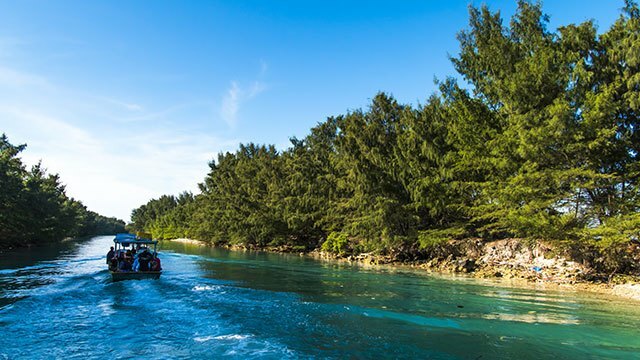 You can enjoy Indonesia’s stunning beaches without leaving the capital at Thousand Islands or Pulau Seribu. Float away on serene blue waters or engage in fun outdoor activities, and don’t forget to check out the underwater tunnel aquarium for trippy photo ops. Get there: From Manila Ninoy Aquino International Airport, fly to Soekarno–Hatta International Airport in Jakarta. 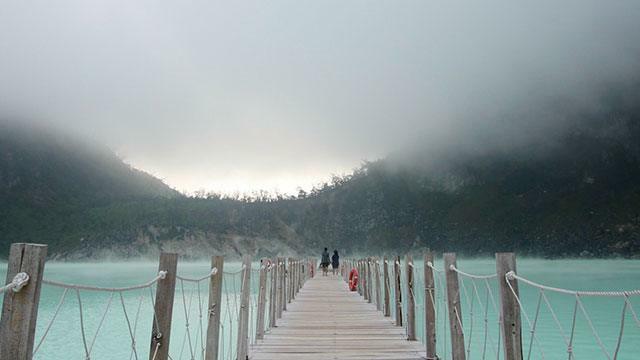 A lake that formed from one of the craters of Mount Patuha, Kawah Putih—or White Crater—is a sight to behold. Its waters are a stunning turquoise, though they may change to brown, depending on the sulfur content. Initially regarded as a mystical area by locals (we don’t blame them! ), it’s now one of Bandung’s top attractions. This is not for the faint of heart, and we’re not just talking about the hike to get there. 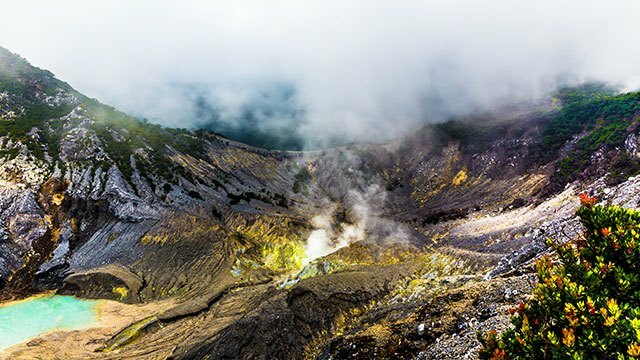 Tangkuban Perahu is actually a volcano—and an active one at that. But that doesn’t deter the swells of visitors that visit regularly. Get there: Fly from Manila to Jakarta Soekarno–Hatta International Airport. Then, from Jakarta Gambir Station, take a three-hour train ride to Bandung. 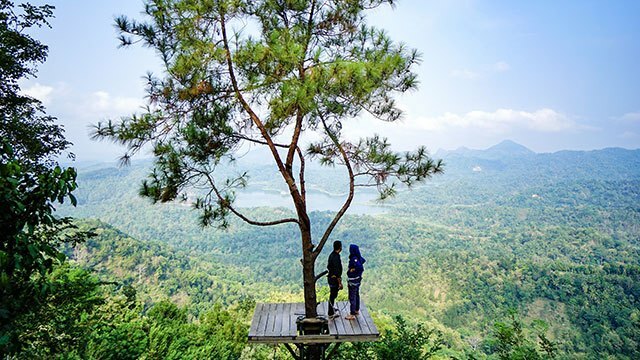 If there’s one thing you absolutely must overcome before visiting Kalibiru, it’s your fear of heights. That’s because the surrounding landscape is best viewed from the park’s wooden platforms perched high above the ground. Needless to say, photos look even more amazing from this vantage point. 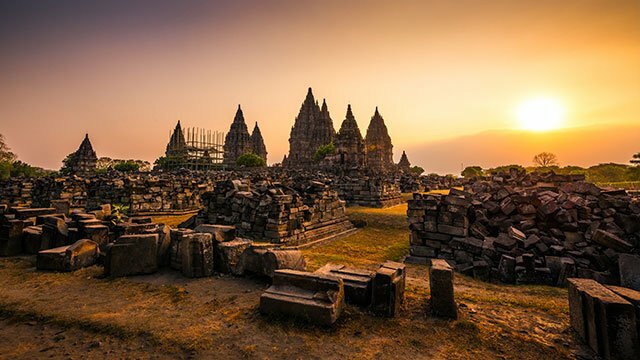 Waking up very early in the morning when you’re on vacation might sound counterintuitive, but it’s well worth it to see the sunrise at Prambanan. And if you fail to catch that, no worries—the Hindu temple and UNESCO Heritage Site is stunning at sunset, too. In its heyday in the 1700s, Taman Sari was a royal garden with a bathing complex, pools, and pavilions. The fact that it’s now largely abandoned just adds to its mysterious and romantic aura. Get there: Fly from Manila to Jakarta Soekarno–Hatta International Airport. 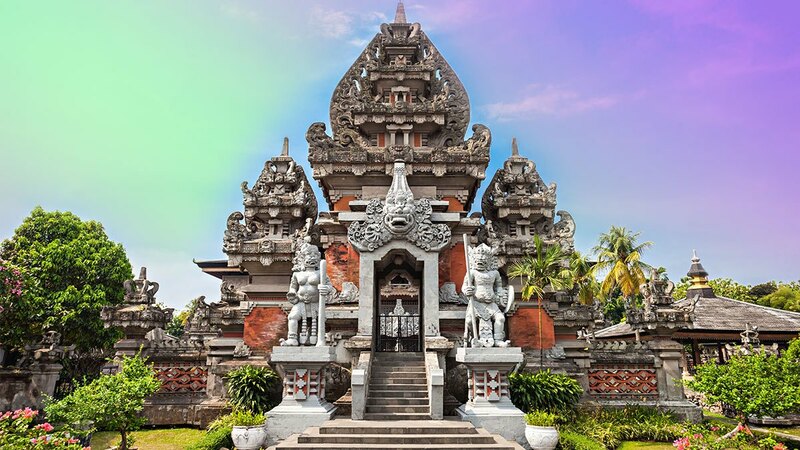 From there, catch a one-hour domestic flight to Yogyakarta Adisutjipto International Airport. Become one with nature at Ekowista Mangrove Wonorejo. You don’t have to hike up steep hills here—instead, wander through bridges and paths surrounded by trees, or take a boat ride through the river. Art and design come together at this cultural hotspot housed in an imposing Dutch building. After viewing the artifacts (from Ming vases to marching band uniforms) on display, drop by the in-house cigarette factory to watch the manufacturing process. Get there: Fly from Manila to Jakarta Soekarno–Hatta International Airport. From Jakarta’s main airport, the flight to Surabaya Juanda International Airport takes one hour and 30 minutes. AirAsia has daily flights from Ninoy Aquino International Airport to Jakarta Soekarno–Hatta International Airport. If you buy your ticket from April 23 to May 6, you can fly to Jakarta for just P1,790. Travel period is from April 23 to October 27. Book your flight here. With the low-cost airline’s daily flights and great deals, you can easily fuel your wanderlust. Follow AirAsia on Facebook for more information.